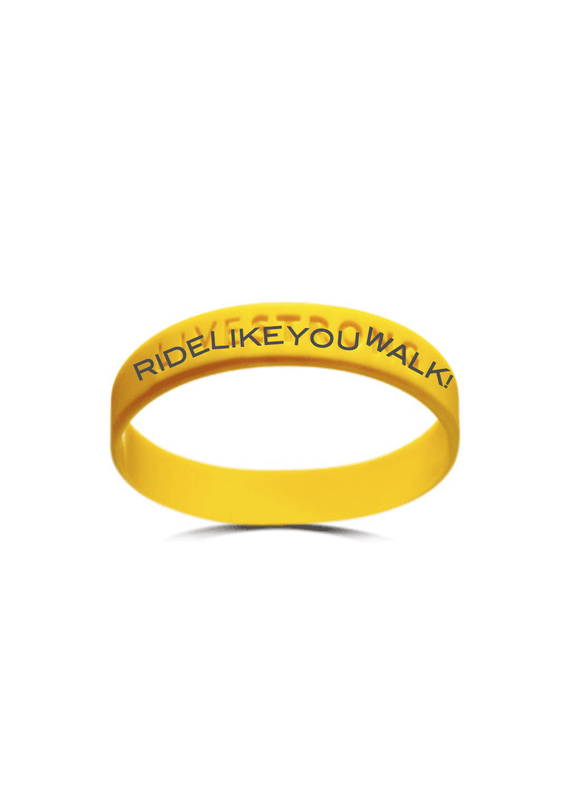 Campaign: Ride like you walk! I ride a lot. When I ride for fun, I wear sports clothes, avoid the city, and go fast. I also ride to get to places, and when I do, I wear the clothes I want to wear at my destination. Sometimes this means I’m riding in jeans, sometimes I’m wearing a suit, sometimes boardshorts and thongs (i.e. flip-flops). And when I’m riding in my suit, people go past me. I want to tell them it’s not a race, I’m not playing your game, I’m not even trying. But they looks so smug. So I want to start a campaign to get people to ride like they walk. Take it easy. Don’t puff. And above all, no sweating. Imagine a crowd of pedestrians on Swanston Street. If one guy was trying to run, he’d bump into people, cut people off and be pretty unpopular. Walkers don’t think Swanston St is the right place to work on their cardio. They cruise along at a similar pace, without exertion. But on bikes, people think the only appropriate speed is ‘as fast as possible.’ This is bad for the overtaker and the overtakee. It causes impatience, and creates risk. Commuting is not a time trial. Unless you’re an infernal hipster, your bike has gears. This means that even going uphill, there’s a cog in which you can sit back and spin the pedals without resistance. You’ll go a lot slower, for sure. You just need to change mindset from ‘this is a sport’ to ‘this is like walking’. Ride like you walk. You’ll get to your destination a few minutes later, but you’ll be fresh and ready to go. It will make cycling the go-to choice for even more kinds of trips. I’m thinking of getting some of those plastic wrist bands made up, Lance Armstrong style. Do you ride like you walk? Share your thoughts! In my time in Japan i rode like i walked, and upon returning to melbourne was keen as mustard to get a bike and use it all the time…. but i didn’t. And this is because of those sweaty lycra wearers, and lack of tolerance for ride-like-you-walkers. Ride like you walk is lame, I’m on wheels, I want to tear it up and go as fast as possible. If I want to walk I will walk, otherwise it’s swift, speedy and efficient all the way. Knock up the cog and peddle hard- oh and get out of the way whilst you are dawdling along….I need to get somewhere. I’m usually pretty chilled riding, and don’t care who’s faster or slower as long as they don’t put us in danger, cut me off, block me, or be otherwise obnoxious or inconsiderate. I reckon it’s fair enough to fang it as long as you don’t do the above and, for longish trips, it can be essential to make riding worth it. As for clothes, there’s not much reason for lycra jerseys, but knicks are just more comfortable for any trip long enough to justify changing after. Anyway, I think the main point is to treat other road users with respect, whatever speed you both want to go, and then it should work out all round! I agree with Gab. I’m happy for people to ride as slow or as fast as they like, with the proviso that if you find yourself in a crowd and you want to sprint it’s your responsibility to find your way through without bumping, cutting off etc, like you would if you were in a rush in say the bourke st mall. In the end, people will still get pissed off though. I always find myself fuming when I get stuck behind dawdlers in the cbd when I’m on foot, and on the bike is no different.